D OES ANYONE HAVE CONTACT DETAILS FOR THESE APARTMENTS? THOMAS COOK WEBSITE DOESN'T MAKE IT CLEAR IF THERE ARE 1 BED ROOM APARTMENTS AVAILABLE OR JUST STUDIOS THAT SLEEP UP TO FOUR? We shall be going to Trivizas Apts next year and was wondering if there was any air conditioning??? Can anybody help me please. Absolutely brilliant. Just came back from a 2 week holiday with 27 friends of mine here. The bar staff were all amazing, especially Rachel and Andreas. They managed to put up with 28 drunken teens for a fortnight and still made the experience amazing. The apartments are great and are located 30 seconds from the beach, 3 mins from the clubs and surrounded by tavernas, restaurants and shops, yet still have a quiet and laid-back atmosphere. I would recommend this place to anyone of any age. Trivizas apartments are amazing. Definetly the best around. 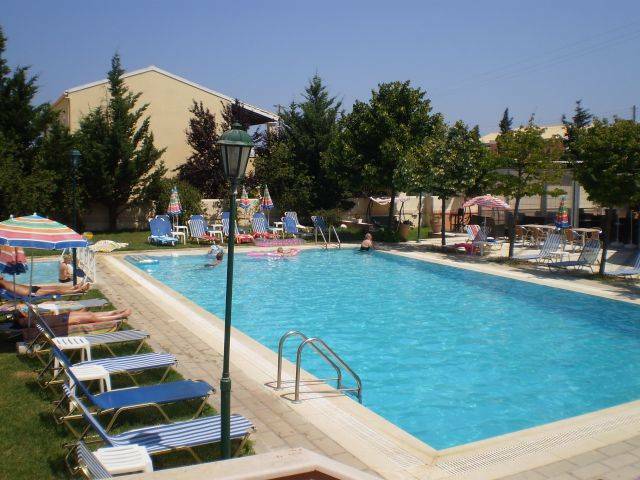 Clean,perfect location, the pool is gorgeous, the bar has recnetly been refurbuished everything brand new. The bar staff and theo ( the owner ) are so friendly. I've just come back from there and i highly recommend it to anyone. Families would love it because it's a place for relaxing. Young groups would love it because like myself you would enjoy the night life and the night life in sidari is brilliant. Bar after bar down the main strip. We have just got back from 2 fanstatic weeks at the Trivizas apartments,we had the best view ever.We just had to open the doors and shutters and there the pool was.We have 2 teenage sons and they loved been in the pool.The rooms are very spacious and the cleaners are very polite.We was greeted on arrival by Theo he was always on hand if we needed anything.We had a good laugh with all the friendly staff. We would recommend that you have a meal at the Trivizas as the chef Stefanos is brilliant at what he does We met some lovely people and met up with them at the end of the night, and if you are reading this we hope you all had a safe journey home.We suggest that you stay at the Trivizas for your holiday. We have just got back from 2 fanstatic weeks at the Trivizas apartments we had the best view ever we just had to open the doors and shutters and there the pool was we have 2 teenage sons and they loved been in the pool.The rooms are very spacious and the cleaners are very polite.We was greeted on arrival by Theo who was always on hand if we needed anything.We had a good laugh with all the friendly staff. We would recommend that you have a meal at the Trivizas as the chef Stefanos is brilliant at what he does We met some lovely people and met up with them at the end of the night and if you are reading this we hope you all had a safe journey home. We suggest that you stay at the Trivizas for your holiday. We thoroughly enjoyed staying at these apartments. We went with first choice and their summary was spot on - excellent accomodation, relaxing pool area, fantastic location, close to the beach and near to all the nightlife,restuarants etc. Our only complaint was that the maids were eager to clean the apartments around 10 a.m. when we were still zombied after a night of drinking and dancing!!!!! Previously I could only manage a weeks holiday but could have stayed for atleast another couple of days atleast. totally agree with gavin trivizas best appartments in town very close to beach. not very noisy, go to kareoke bar quite close to B.E.D quality staff and quality laugh. defo back next summer to work out there. also go to kassiopi on day trip it was well nice. Apartments nice but bathroom not brilliant..no shower curtain so it flooded regularly,all else good..pool excellent and quite quiet so no fighting for sun beds!! Compared to other apartments we saw ours was by far the best. As for things to see and do.. please avoid B.E.D ( Think its Bar Entertainment and dining) looks great but food and service awful! Its in the main st Sidari..on the other hand highly recommended the 2 brothers across from entrance to canal damou'r..Dont forget to seek out cape drastis which is about 3 miles outside sidari and is one of the most popular postcard scenes and you must check out the highest point on the island too! we would defo recommend Trivizas and corfu as a whole and we will be back!!! Well located across the road from a sandy beach. Free Sun beds at the Sea Monkeys bar. Friendly cleaners etc and the place was spacious and spotless. Sprios the owner was helpful in movng things around to allow us a late book out. it was brillant trust me people ive been here loads of times and its the best hotel around. i was very sad to leave and if you go to these apartments you will love it more coz its soo comfotable and very near to the beach and restraunts. dont just believe me try it out for yourselfs!!!! 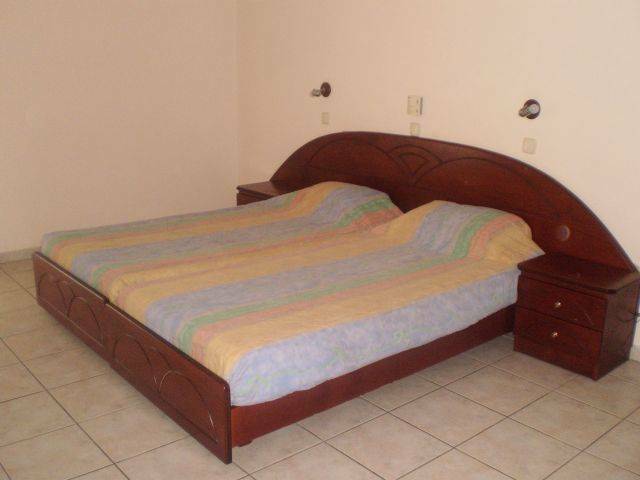 Go onto the first choice website and onto sun holidays, search for trivizas apartments. On it there is information, pictures, prices and a phone number for it. has anyone got any photographs of the Trivizas Apartments and surroundings that they would be willing to share with me please! Hey Gringo! The Trivizas Apartments were great fun and nice to stay in! quality pool, bar/resturant and surroundings. right next to the beach and a short walk to the clubs, shops, resturants etc. the staff were remarkably tolerant too! rooms were a good size, doors opening onto pool area, basic amenities and a skanky assed windowless bathroom, with a ponging loo and no shower curtain (ended up flooded the bathroom everytime) part from that they were wikid, cleaners came in and straighted the Apartments everyday. special thanks to the owners george micheal, stellios and dimitri 4 putting up with us! we stubbled in most mornings at about 5 onwards till 7 and woke up at midday 4 the pool, probably disturbed loads of people...sorry! The Trivizas Apartments were fantastic it was very clean and the maids were very friendly and polite. the apartments were located in a excellent place minutes away from sidaris main stretch and opposite a sandy beach. There are plenty of places to eat and the food is fantastic. we recomend cactus jacks and fagins the people were really nice and talkative. were definetly going back to the same place next year. if your planning on going to sidari then dont hesitate to go. If you would like any more information then just ask. To be fair, we were in one of the four apartments that were on the main road, there are about 18 other apartments that aren't on the main road that probably aren't noisy. The good news is that First Choice paid me �200 compensation yesterday for their brochure claiming the apartments were not on the road. Result! The apartments were clean thanx to the friendly cleaners. It was in a gr8 position which was close to the town but not noisy at night. The pool was clean and the whole family enjoyed the holiday. I cant believe that it has only got 4 out of 10!!! You couldn't fault them. Avoid like the plague! Admittedly the location is pretty good, just a minutes walk from both the beach and the centre of Sidari. However, our apartment was right on the main road through Sidari so it was extremely noisy until about 5am! While the apartments are quite spacious they are not clean, bordering on dirty. Air conditioning is available in the apartments but at a cost of approx �5 a day. Don't even waste your time trying to get a late check-out room, the owner (Spiros) is such an awkward so-and-so, and even if he does agree to give you a room he'll charge you �30 for it. Do what we did, walk across the road to SB Travel and ask to use their apartment. Only costs �20 and they let us keep it until the coach came to pick us up. Sidari is a great place, but we won't be using these apartments again. 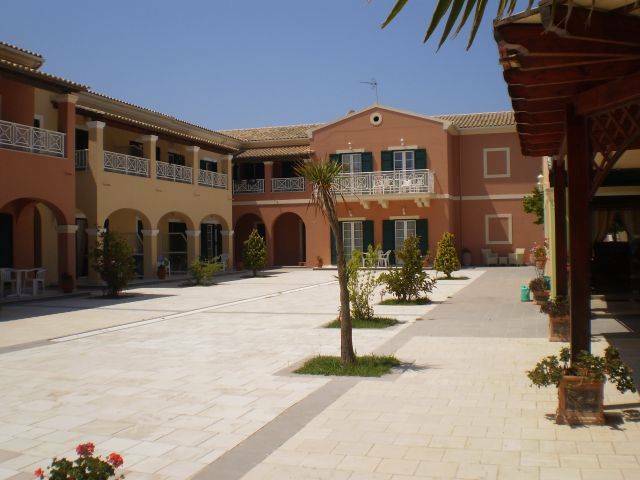 we stayed at the trivizas apts in sept 2001 they were absolutely brilliant very spacious.the kids had a brilliant time ideal position for all local amenities i would reccomend them to anyone who wants to stay in sidari.there are also lots of lovely restaurants and plenty of bars close by. Me and my family were in these apartments the first year open to the public and found them to be extremely clean,cleaners were very friendly always saying hello.It was well within walking distance to the bars and beach.The reps were brilliant there.The only thing that i wasnt to keen on was the pool as it wasnt very big and there were lots of kids bombing in the pool.but overall its great there,am definatly gonna go back again.Have been to Sidari three times now and stayed in three different apartments and this is the best.If anyone wants any information on Sidari feel free to email me at alisonmartino@onetel.net.uk and i'll do my very best to help you.